I love this cute little panda from the Sale-a-bration Brochure! You can earn it FREE with aa$50 purchase! Contact me today to schedule a workshop!! Drip 5-10 drops rubbing alcohol onto colored Glossy card stock and let dry. Repeat. Attach Glossy card stock to Basic Black layer and attach to card front. Using the Fine Tip Glue attach a few sequins. Have you ordered your 2018 Planner? January is time to stamp. It's time to start fresh and finish those projects you put off during the holiday season. 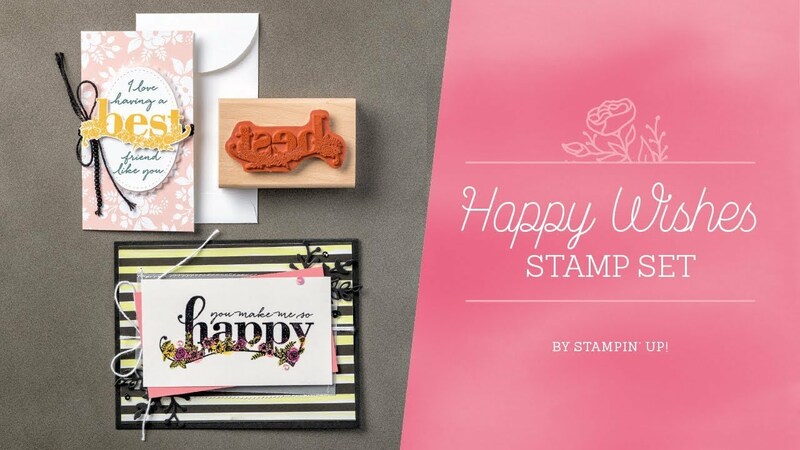 If you're like most of us, you have lots to stamp and scrap and Stampin' Up! is right here to help you. Stampin' Up! gives you a wonderful reason to celebrate this winter. It's Sale-A-Bration time! January is a great time to host a party. 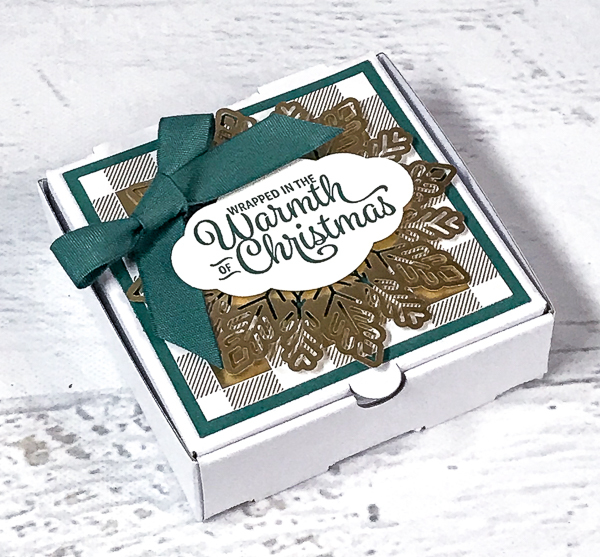 Host a qualifying party ($250) during Sale-A-Bration and earn $25 more in Stampin' Rewards in addition to the usual rewards. Everyone will want to come to your party since we will have tons of fun and we are giving away free Sale-a-Bration products. During our annual Sale-A-Bration event, we love FREE. In fact, we love free so much we give you three different ways to earn free products: shop, join, and host. Guest can shop and choose a free product from our exclusive Sale-A-Bration Brochure for every $50 they spend (before tax and shipping). Plus, new this year: guests can earn even bigger rewards when they spent $100 (before tax and shipping). Do any of your friends use our Framelits? You can even put your Stampin' Reward toward the cost of your Starter Kit. Contact me so I can schedule you on my calendar. Using a Dauber to hold the ribbon down - drag it through the Calypso Coral ink pad to die it. Set aside to dry. Adhere 4” x 5-1/4” DSP layer to card front. Stamp greeting on Coral Calypso layer with Memento Black Ink where shown. Adhere to Bermuda Bay layer and then card front. Stamp the smaller bottle in Calypso Coral and the star in Lemon Lime Twist inks. 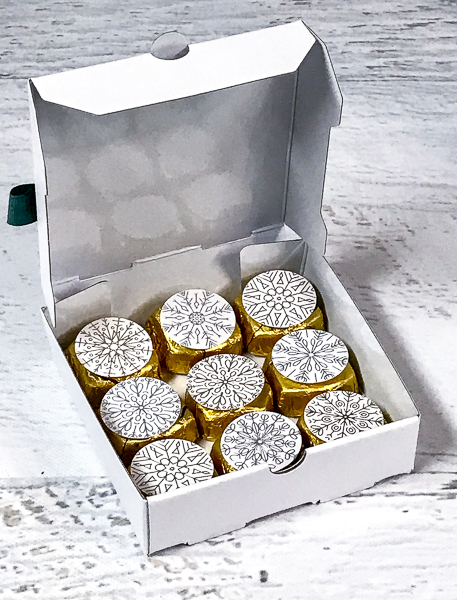 Die cut both and a bottle cap from a Silver Foil Sheet. Punch star with 3/4” Circle Punch and attach to bottle from with a Stampin’ Dimensional and attach bottle to card front with Stampin’ Dimensionals. Attach Silver foil bottle cap to greeting layer where shown. Adhere 1/2” strips of striped DSP to top and bottom of 4” x 5-1/4” Whisper White layer and adhere to card back as shown in the first photo below. Tie ribbon around the top of the card (make sure ribbon is dry). Fold 3” x 4-1/4” Lemon Lime Twist layer on score lines. Adhere to inside of card as shown in the second photo below. 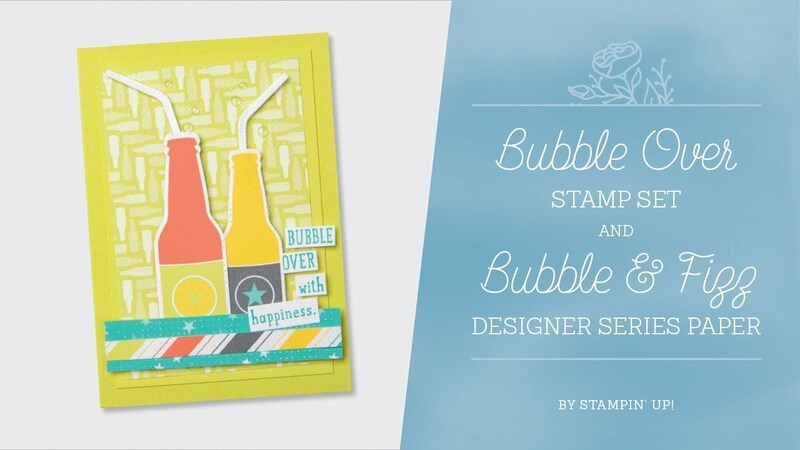 Tags: bubble over, calendar, gift, stampin' up! I absolutely love these little pizza boxes -- they make GREAT quick & easy gifts! I filled these with Hershey Kisses! This was a really quick idea -- I printed the sentiment, then made a tag! Super cute and super easy! Hope you're all enjoying the holiday season! It tends to get crazy, busy, etc -- don't forget to take time and remember the reason for the season! And, slow down and enjoy your loved ones!! Big thanks to the ladies in my group -- not sure what I'd do without you and your wonderful friendship!!! I thought I'd change things up a bit and share a NON-holiday project! This features one of the cutest stamp sets, This Little Piggy! Adhere DSP to bottom half of the 4” x 5 ¼” piece of Thick White Cardstock. Using Tear n Tape, adhere your ribbon to the top of the DSP. Attach this to your card base using Stampin’ Dimensionals. 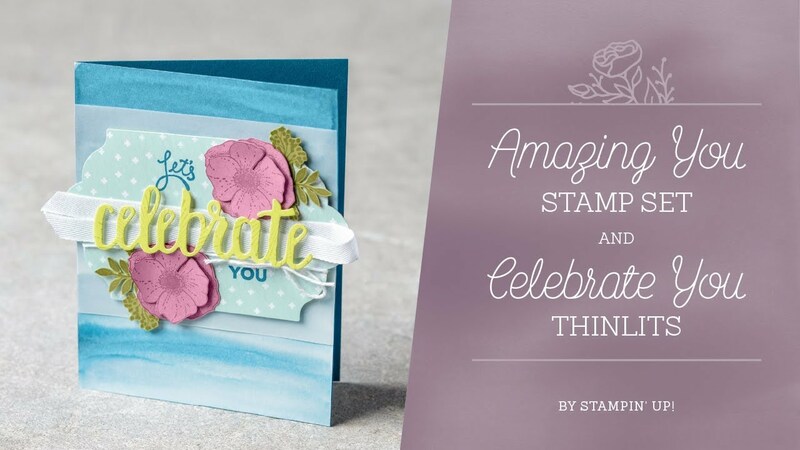 Attach your stamped image to the card – use Stampin’ Dimensionals again. Can you believe it's December already? I just love the holiday season, but it's easy to let it run away with all our time. To help you get your Christmas list checked off quickly and easily I've included a sweet gift tutorial and some no-fuss gift giving ideas. One of my favorite gifts to give is Paper Pumpkin. It's creative, unique, great for everyone from pre-teens on up, one-size-does-actually-fit-all, it's delivered for you, and you can get pre-paid gift certificates from 1 month to 1 year, so it fits any budget, awesome! Kits make great gifts, too. The Soft Sayings Card Kit (#145466) and Oh Happy Day Card Kit (#142725) include coordinating stamp sets and are ideal for a stamper who has some stamping supplies, but not a lot of time to design. 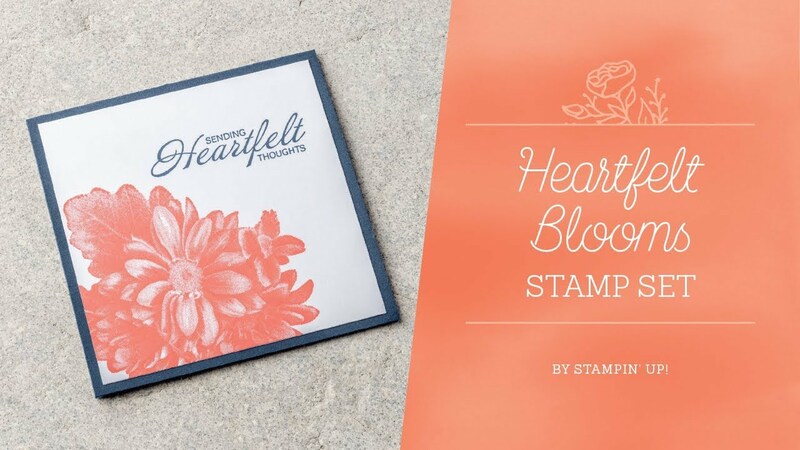 The Hello Friend Heat Embossing Project Kit (#146013) and coordinating Hello Friend stamp set (#144055/#144059) are a creative option for the more advanced stamper. You've been good this year. Help Santa out with a Wish List so he doesn't have to guess what you'd like in your stocking. Santa will appreciate the tips. When you shop with me you support my small business, which I truly appreciate, you get unique creative gifts, and you don't have to fight any grumpy shopping crowds. It's a true win-win! Here is a quick gift giving project tutorial I sent to my email subscribers.